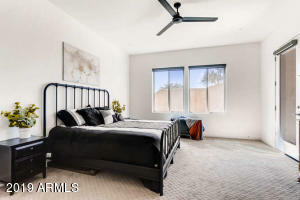 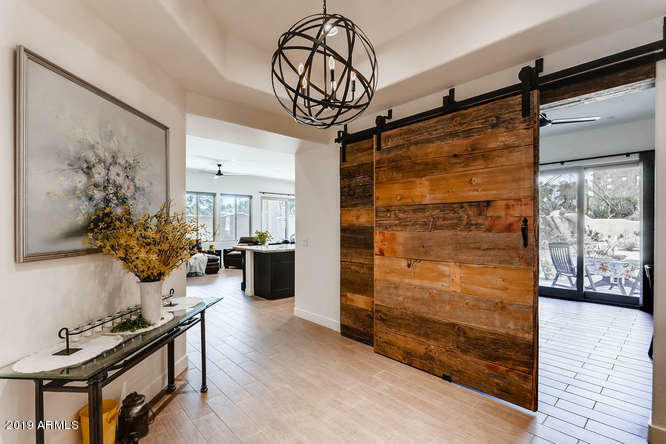 Open, contemporary single story floor plan for easy modern living.Beautiful barn doors open to reveal office/den or third bedroom with private patio. 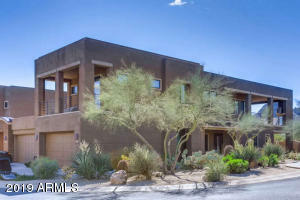 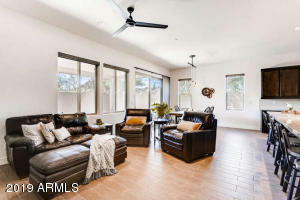 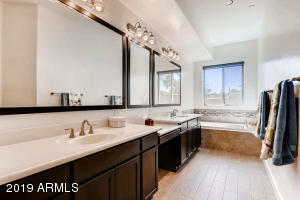 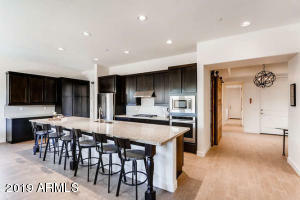 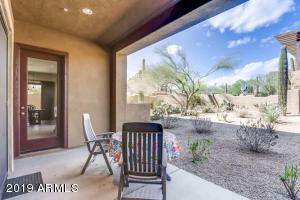 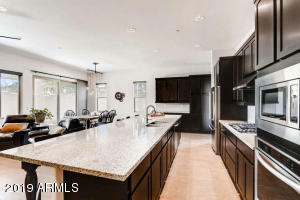 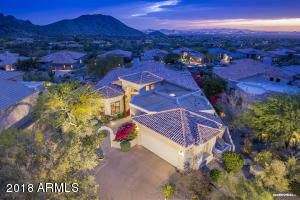 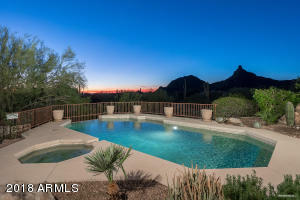 Huge granite slab in kitchen open to great room and large covered patio with view of Pinnacle Peak. 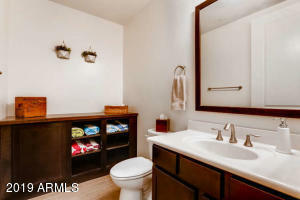 Master and second bedroom both ensuite. 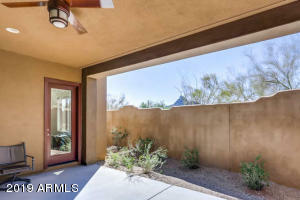 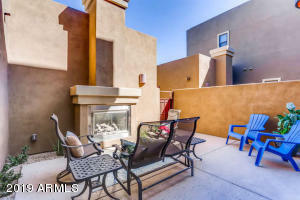 Plenty of room and great entry courtyard with gas fireplace to relax. 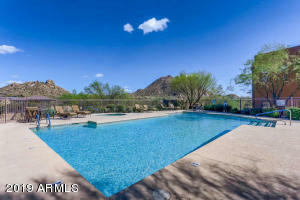 Community pool boasts great mountain views and adjacent work out facility. 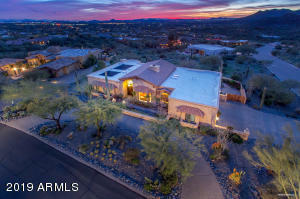 Dynamite East to Alma School, South to gate on East side of Road.